Webhooks were introduced in WooCommerce 2.2 and can trigger events each time you add, edit or delete orders, products, coupons or customers. fmEcommerce Link (WooCommerce Edition) supports the ‘Order Created’ Webhook – using the supplied PHP page you can have new orders automatically pushed to your copy of fmEcommerce Link. If you’re not sure about what the external URL to the webhookNewOrder.php file is talk to your IT person – they may need to setup port forwarding on your Internet router in some cases. You can now create a new dummy order on your WooCommerce site and confirm that the new Order is created in the fmEcommerce Link file successfully. In our testing the new Order was created in the fmEcommerce Link file within a few seconds to a few minutes, so please wait a few minutes before troubleshooting this further. which will give you information if there was an error with the Webhook, e.g. 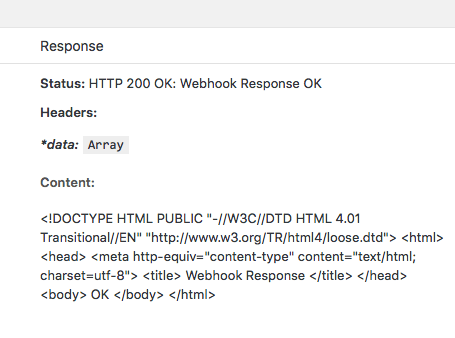 if you don’t get 200 HTTP Status response or something other than “OK” in the <body> of the response. 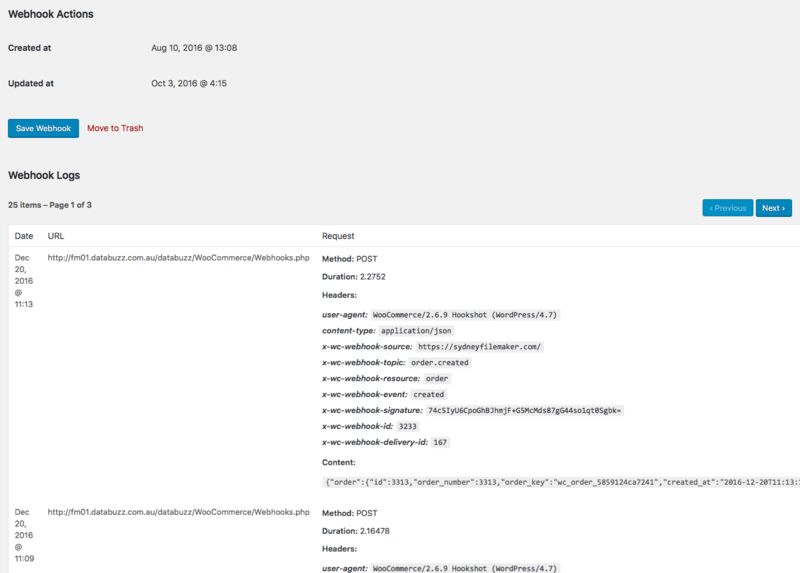 You might also need to consult your web server log or the FileMaker Server Log Viewer for details. As the Order can be created before the customer has paid for the order (depending on the timing of when the Webhook is triggered) it might still have the status of ‘processing’ and not completed. You can then simply update the order from WooCommerce to get the latest version of that Order, including the payment details. We originally had setup the Webhook to populate all the Order details using the JSON data that is sent as part of the Webhook, but we realised it wasn’t complete and missing some data compared to what is received when downloading an Order from WooCommerce via the API, so we changed it to use run the Update Current Order from WooCommerce script so it would have the same full data that the API returns. We have a video demonstrating the Order Created Webhook in action on the fmEcommerce Link (WooCommerce Edition) Videos page. If you would like to see support for other WooCommerce Webhooks please let us know.